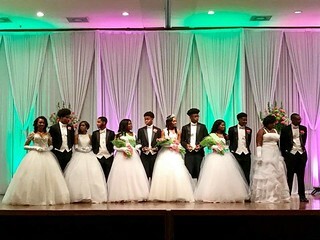 Miss Prominent Pearl Cotillion 2019 | Twenty Pearls Foundation, Inc. The Twenty Pearls Foundation, Incorporated has been committed to sponsoring programs and initiatives that add value to the quality of life for citizens in Chicago’s Southland communities since its inception in March, 2001. In order to support our various programs and initiatives, we sponsor events throughout the year to raise funds. In keeping with our commitment and tradition in the Chicago Southland Community, our Foundation Board President and members are pleased to present: “Miss Prominent Pearl Cotillion, 2019”. Our cotillion is open to young ladies and young men who attend a public, private, parochial or charter high school. Participants must be at least 16 years old and in their sophomore through senior years. This is an excellent opportunity for our young people to build lifelong memories and form special bonds of friendship as they prepare for the future. The Debutantes will be presented on Sunday, April 28, 2019 at the beautiful Tuscany Falls in Mokena, IL. Prospective Debutantes can download an application here. Prospective Escorts can download an application here. Pingback: Miss Prominent Pearl Informational Tea | October 6, 2013 | Twenty Pearls Foundation, Inc.